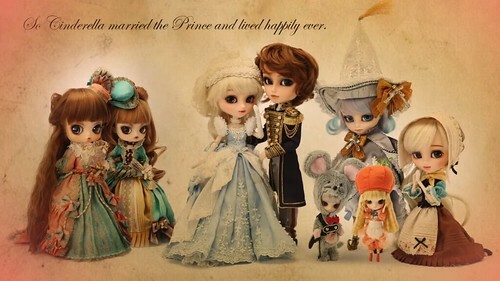 In 2013, Groove released a series of dolls based on characters from the Fairy Tale Cinderella. Two dolls were released based on the titular character Pullip Dahlia Cinderella which was before her transformation and Princess Dahlia Cinderella which was Cinderella after she had a visit from her Fairy godmother Fairy Lumiere and was ready for the ball. Other dolls in the series include the fairy godmother Isul Fairy Lumiere, the wicked step-sister Byul Clorinda, the handsome prince Taeyang Prince Ramiro and Cinderella’s mouse friend Little Byul+ Garcon. 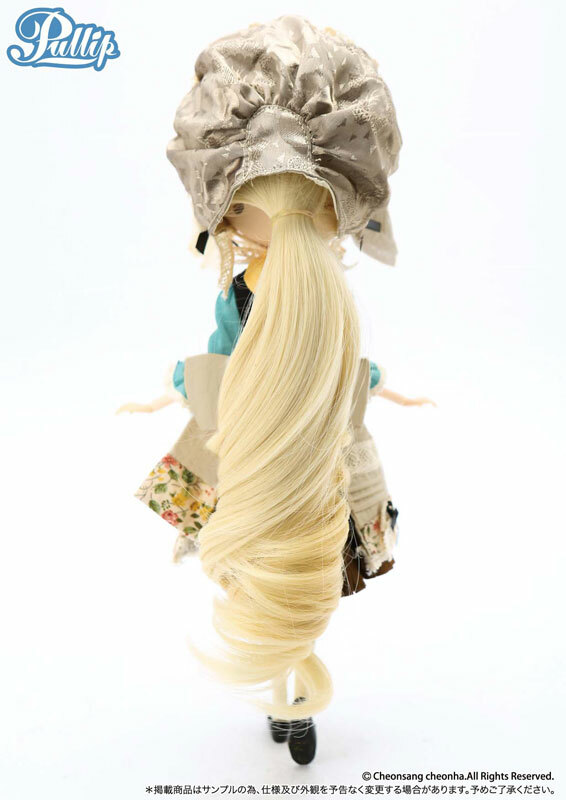 Two additional dolls were shown in early promotional photos a step-sister Dal as well as a little Pullip but they unfortunately remained unproduced prototypes. Feel Like So: I’m going to prepare meal, wash dishes, then clean the floor… It?s not difficult. I mean the starlight are just so beautiful… Feel Like So. 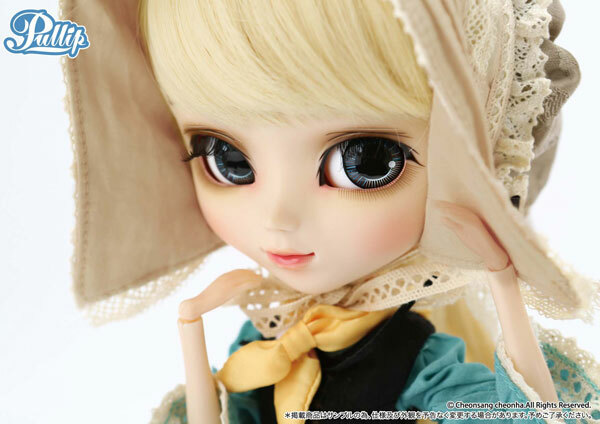 Comparison with Pullip Princess Cinderella (Starry Night Cinderella) coming soon! 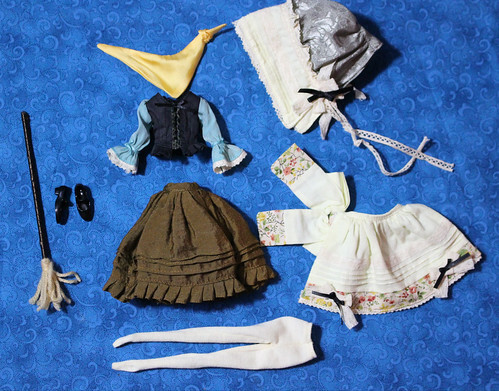 Stock: Pullip Dahlia Cinderella’s stock consists of a blouse, bonnet, ascot, skirt, apron tights, shoes & a mop.